"A female captain?" Say what? 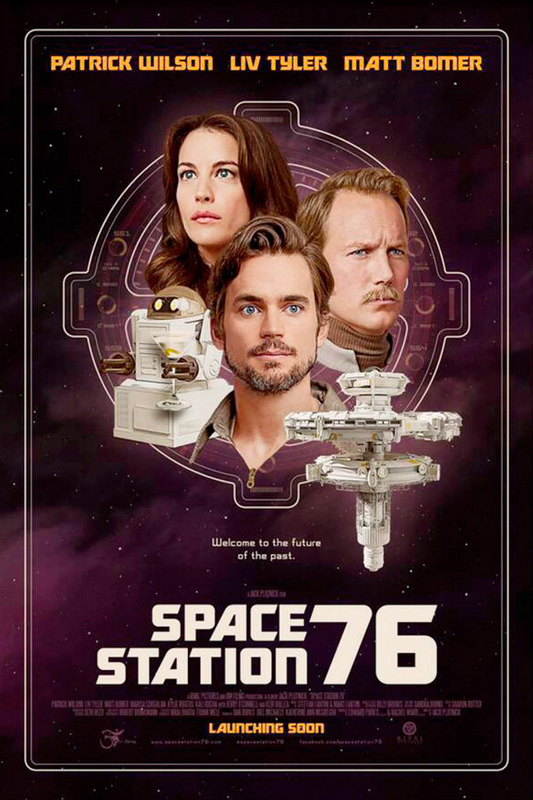 The first trailer for a goofy sci-fi 70's spoof called Space Station 76 has debuted thanks to Entertainment Weekly and it's as bad as you would expect for a trailer that debuts on Entertainment Weekly. Despite a solid cast, including Patrick Wilson, Liv Tyler, Marisa Coughlan, Matt Bomer, Jerry O'Connell and Kylie Rogers, the jokes fall flat, the dialogue is atrocious, and this looks more like bargain bin crap than a worthy spoof. Seriously, it looks terrible. But maybe it wasn't made for everyone. Take a look below at a 1970s version of the future, where personalities and asteroids collide. In a 1970s-version of the future, a group of people and robots living on a space station face inner turmoil when a new assistant captain arrives, sparking tension. Space Station 76 is directed by comedian Jack Plotnick, a TV writer/actor making his feature directing debut. Writers credited include Jennifer Elise Cox, Sam Pancake, Jack Plotnick, Kali Rocha and Michael Stoyanov. The film first premiered at the SXSW Film Festival earlier this year, and will be released by Sony. Visit the film's official website here or Facebook page. Below is the poster for the release, which will likely hit both VOD and theaters. Anyone interested? Jack Plotnick's Space Station 76 still doesn't have an official release date yet, but we expect it out this year. Looks like it might have potential... buuuuuuutttt.... not the strongest trailer, unfortunately. I love the idea of it, but I agree that I'm not sure this was the best trailer. It sounds like they may not have done ADR for the film yet. The trailer itself did that for me. Funnier than most of the comedies made today. I'll remember what you said, but your crew really needed to hire someone to cut a funnier trailer, my friend. Were there actually any jokes in that trailer? Can I just say for everyone 'Eeeeek!' :-/ Is this a spoof, of a spoof, without the comedy? Have you never seen trailers from the 70s or 80s? You're missing the joke. Also, this sort of has a Wet American Summer in space vibe to me. Yeah, this trailer is a joke-free environment.